Evolve Massage and Alternative Healing was born out of the idea that massage is essential for the reduction and management of many, if not all chronic pain conditions. Many of our clients have chronic pain that Traditional Western Medicine only knows how to treat with drugs and surgery. Many chronic pain conditions and even other chronic issues including anxiety and depression can have their roots in muscular tension and knots. “We are passionate about helping you feel better. We are not only going to use our expertise to release tight, knotted muscles, but we will also council you in stretching and meditation techniques to take home with you so you can make marked improvements even between sessions. Evolve is a small family owned business located off Highland Ave, near the Garage on 23rd St. S, down the hill from Bottega. Valerie is a state licensed massage therapist since 2011, with certification in Neuromuscular Therapy and certified Reiki Master. She specializes in Pain Management and loves helping clients with chronic neck pain. Valerie is also certified in Pregnancy Massage. Valerie has a life-long passion for homeopathic medicine and Eastern Healing practices. Valerie and Michael have a new son, and two school-age girls between them. In her free time she tends organic gardens and has a vast working knowledge of herbology and nutrition. Michael is a state licensed massage therapist since 2013 with certification in Neuromuscular Therapy and certified Reiki Master. He specializes in Pain Management and is skilled at using focused, precise pressure and stretching to relieve chronic pain in the neck and shoulders, or low back and hips. 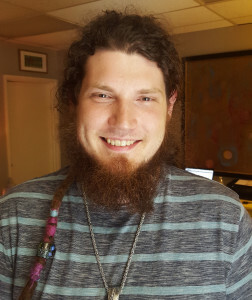 Michael is a student of Eastern Medicine and Western Esoteric studies with a life-long meditation practice. When he isn’t at work, he is probably hanging out with his new son, doing yoga with Valerie and their two girls, or playing guitar or his djembe drum. 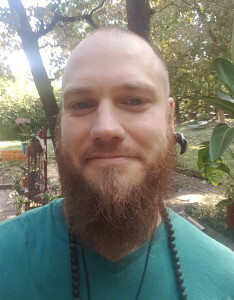 Ian is a state licensed massage therapist since 2015 with certification in Neuromuscular Therapy and certified Reiki Master. He specializes in Pain Management and utilizes unique kneading and stretching techniques to combat chronic pain issues, whether your neck, back, or hips are you concern. Ian is an accomplished aromatherapist, and crystal aficionado. When he’s not in a therapy session he is likely working on an art project or making some of his unique silver wire-wrap metaphysical jewelry. Dalton is a state licensed massage therapist since 2016 with certification in Neuromuscular Therapy. He specializes in Pain Management and loves finding new techniques to treat familiar issues, whether they’re found in your head and neck or low back and hips. Dalton is passionate about self-care, and has been an avid reader and learner since childhood. When he isn’t in a therapy session, he can likely be found whipping up something new in the kitchen, cruising around town on his board, or finding new books in local thrift stores. 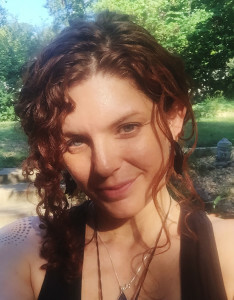 Stella has been a licensed massage therapist since 2012 and is certified in Clinical Massage. She has completed reiki 1 and plans to become a reiki master in the future. She specializes in pain management and stretching techniques to ease neck, back and hip pain. Stella has a passion for helping others by customizing her massage techniques to fit individual needs. When she’s not doing massages you’ll probably find her doing crafts, shopping for thrift store treasures, or hiking. At the moment, we are small, but we will grow. We feel like Birmingham needs an opportunity to try out some new things, and as we learn them, we will offer them! We look forward to the opportunity to help nurture the already growing community of consciousness in our home, Birmingham, Alabama. We believe to be healthy and happy, one must combat ignorance and fear and embrace knowledge, faith and love. 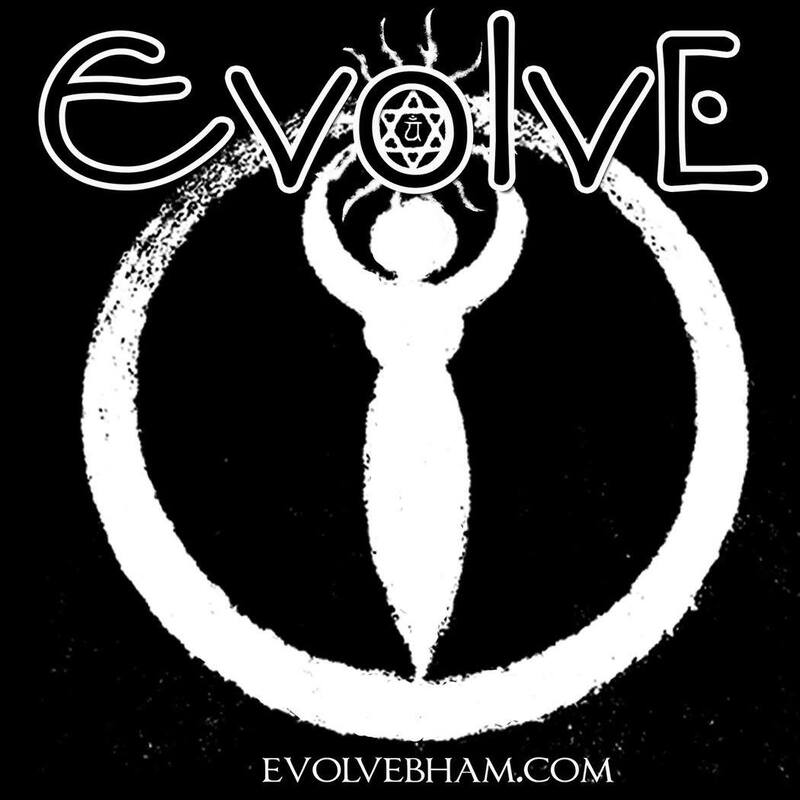 It’s time to Evolve, Birmingham. Join us. Deep Tissue – $85/60 mins $115/90 mins – If you are an athlete or just need some serious attention to your tight muscles and a bothersome knot or two, this is the massage for you. Aromatherapy Massage – $100/60 mins $130/90 mins – Our Aromatherapy Massage features Young Living Essential Oils and Includes a brief Aromatherapy Consultation. Essential Oils can increase the level of relaxation of your massage, as well as contribute to your wellness in unexpected ways. Prenatal – $85/60 mins $115/90 mins – Side-lying massage so for the soon-to-be mother’s comfort and safety of the baby. Prenatal Massage is more gentle than our other massages, and can relieve aches and pains that come along with all the changes the body goes through during pregnancy. Energy Massage with Crystal Balancing – $85/60 mins $115/90 mins –This is a massage that focuses on clear intent – rhythmic strokes calm and align your body, while you are encouraged to take deep breaths and focus on your body as a whole being. We finish with a few minutes of chakra crystal balancing that will leave you feeling enlivened and refreshed. Reiki – $65/45 mins – A Japanese modality of Energy Healing. This is a light touch modality that is performed with the client fully clothed. The goal of Reiki is to heal blockages and/or tears in the emotional body, which in turn affect any issues you are having in your physical body. New Client Interested in Trying Us Out? We always offer $20 off for New Clients! Ask about discounted pricing for packages. Call or text (205)566-4526 to ask a question. Give Stella or Dalton a try for only $55 for a 60 minute massage! This offer is good to New or Existing Clients for One Use Only! + give you a $10 Coupon to use when you come back for your second service! or Clients that have not been active for more than 6 months. New Clients always receive $20 off their first service! 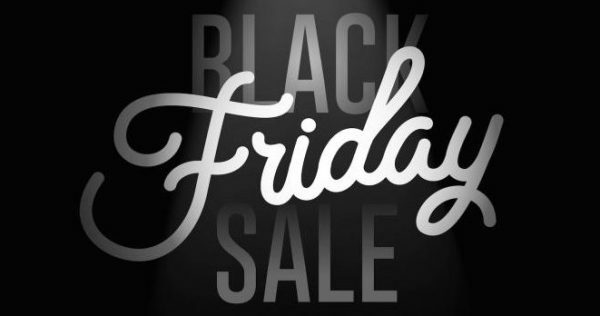 We will be changing these promotions from time to time, so always check back! This place is warm, inviting, and has a heightened vibrational energy that can be felt when you walk in the door. I must say, this provided me with exactly what I needed. 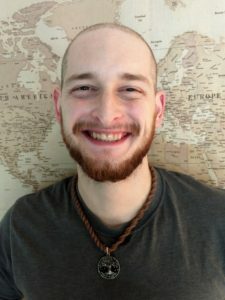 Ian answered all of my questions helped me to hone in on clearing my energy. I left feeling light as a feather.I truly recommend this to anyone open-minding and ready. I met with Ian after a long week at work. I had been on my feet and lifting heavy items and I needed to relax. Initially I thought of a massage as a 'treat yourself' relaxtion experience, I didn't realize a message could be a therapeutic tool. Ian is incredibly knowledgeable about the muscular system. Ian worked all of my muscles with great depth, intuition and care. In all aspects, this was a relaxing, and comfortable experience. I felt relaxed from the moment I entered Evolve. I had a 60 minute deep tissue massage, and I will be scheduling another appointment in the near future. Thanks Ian! I had injured my lower back for the fourth time in only a few years. Had a few massages but nothing like this. Saw Michael and could tell after the first session these people know what they're doing. Scheduled four more appointments and feel better than I than have in years. Highly recommend! Ian is by far the best massage therapist I've ever visited. I relieved so much muscle tension that I didn't realize I had. I will be booking another appointment very soon. I've been to Ian a couple of times now and he is the most talented massage therapist I have been to! He does a great deep tissue massage and stretches out the muscles he has worked on. He kept me mindful of my breathing throughout the massage as well. I would highly recommend Ian to anyone looking for a massage!